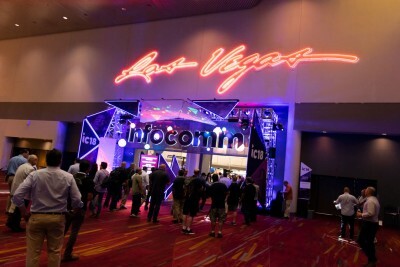 InfoComm 2018 gave us the chance to meet up with Crestron. 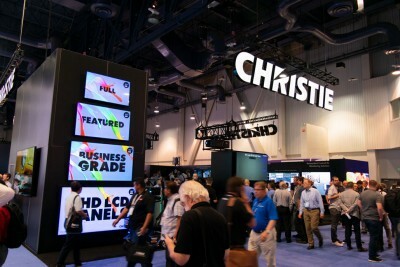 The focus of the stand demonstrated how only Crestron can provide everything you need to equip, manage and evolve your audio-visual systems, securely on the network. We caught up with our Account Manager, Matthew Buck, to learn more. 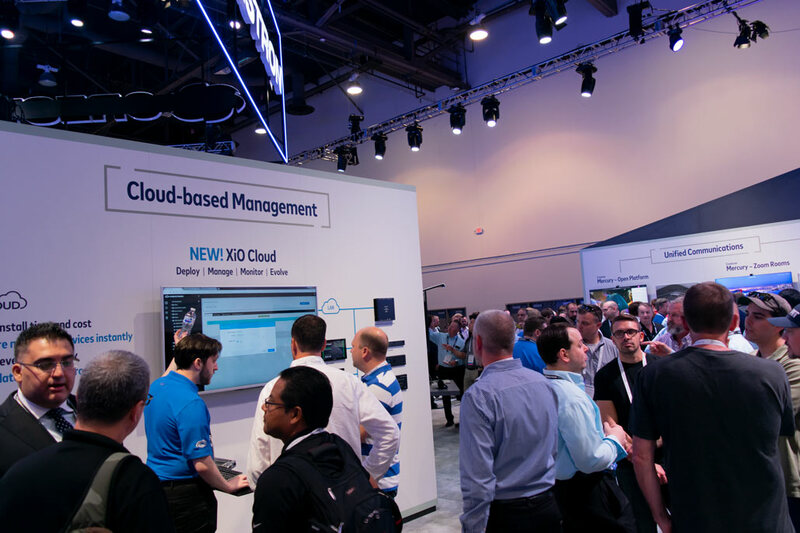 Making its North American debut and one of the stand out solutions on show was Crestron’s XiO Cloud, without doubt a future favourite for IT Managers. Based in the cloud, XiO Cloud is built on Microsoft Azure and enables organisations to instantly deploy, manage and evolve their whole Crestron estate. XiO Cloud can be accessed from any web browser and has been proven to reduce installation times by up to 90%. From a central location, organisations can update millions of devices worldwide, be instantly alerted when there is a problem and understand their spaces better based on usage and reporting data. With many of our customers already using Crestron solutions, XiO Cloud will be a welcome addition to their estates. It will enable our customers to manage and understand their spaces better; improving their return on investment. Crestron used InfoComm 18 to announce that the award-winning Crestron Mercury, a Cinos favourite, is now compatible with the Huddly wide-angle USB camera. This new pairing provides an undistorted, ultra-wide viewing angle of all participants; making Mercury the perfect choice for a multitude of collaboration spaces and further raising the bar for the unified communications experience. As well as demonstrating a native Zoom video conferencing experience via Mercury on-stand, Matthew also introduced Crestron SR, a co-development with Microsoft and Crestron to build the best-in-class room system for Skype for Business and soon, Microsoft Teams. 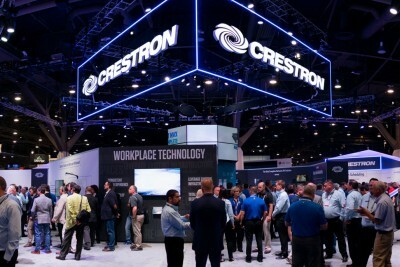 Like Mercury and all other Crestron products, SR connects to XiO Cloud for easy deployment and management. 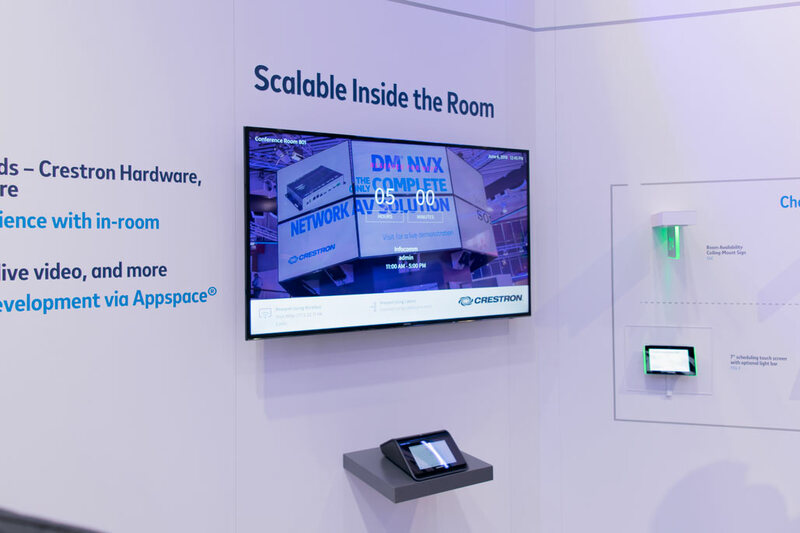 One of our featured products, Crestron DM NVX, was on show, proving once again that it is by far the best networked AV solution on the market. Multiple demonstrations were set up on stand, pitting DM NVX against competitor solutions to showcase the difference in quality and performance. 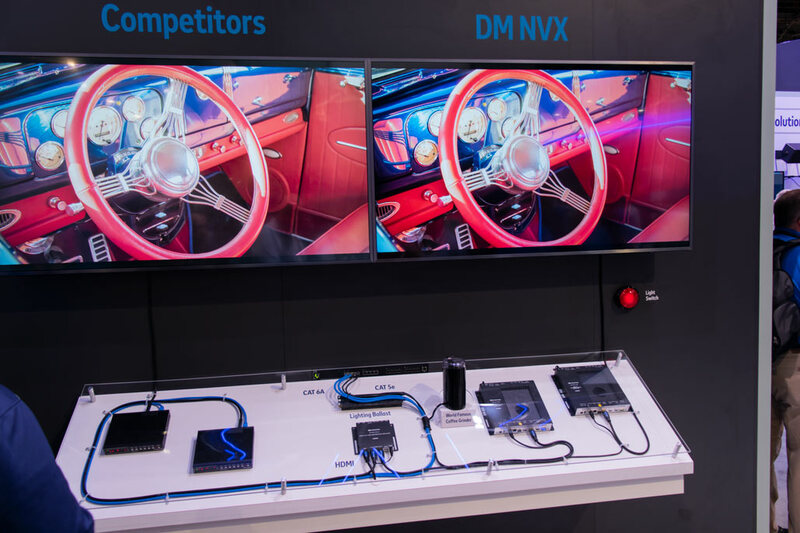 Whilst the system design comparison showed how multi-layer technology enables DM NVX to save organisations time and money, the main wow factor came from the real-world video test. Within a few minutes Matthew showed us NVX’s speed of switching sources, how interlacing (which their competitors cannot do) results in a crisper, sharper image and the fact they support the broadest range of video formats of any solution in the industry. 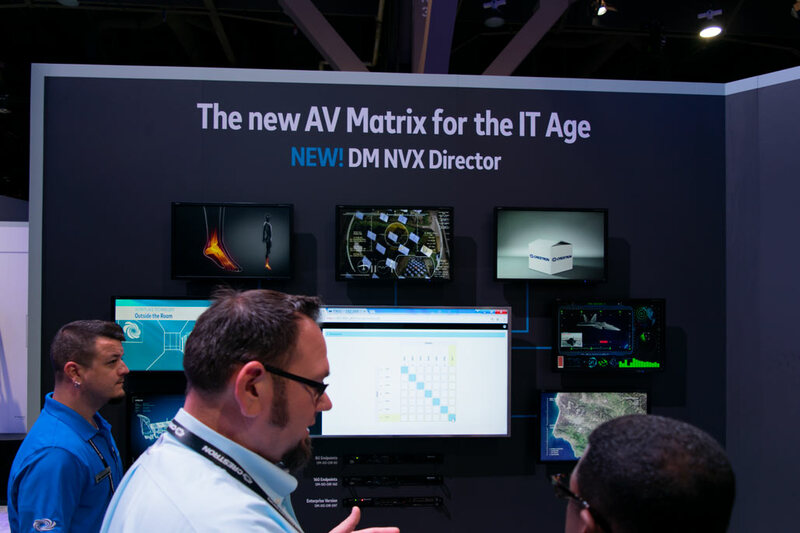 A recent change in this product line has seen the introduction of the DM NVX Director (formally DM XiO Director), launched at InfoComm. Used to control large matrices of DM NVX endpoints, IT Managers now have all the information they need to control and manage their NVX Network. The DM NVX Director is available in 3 models and more information can be found here. 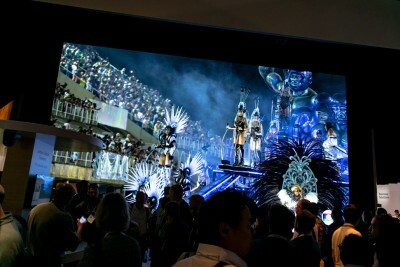 With so many products and solutions on show it is impossible to mention all our highlights. It was great to see the latest developments in the Room Scheduling solutions which now work independently without the need for Fusion. The new enterprise-ready, software version of AirMedia, AirMedia 2.0 was also on stand, demonstrating how simple it is to turn any area into a productive meeting space for wireless content sharing. 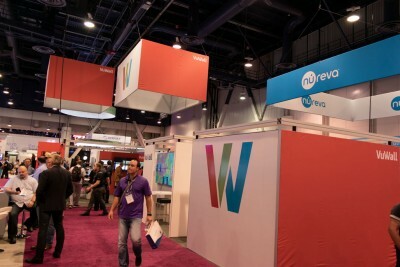 We would like to thank Matthew and the team for taking the time to show us around the stand. If you are interested in these products or would like to learn more please contact our team, as a Crestron Authorised Partner we are perfectly placed to help.